Sandy's Kaymen Izer is ready to hit the accelerator on his ski career after earning an invitation to join the 2019 Rev Tour — a feeder into the popular X Games. Izer is ranked No. 2 nationally in Slopestyle, which has competitors catching big air over a run that typically includes three jumps with three rails in between. "I'm trying to make a career out of skiing," Izer said. "It's a huge step up. Last year, I was on Mt. Hood competing with seven or eight other kids." 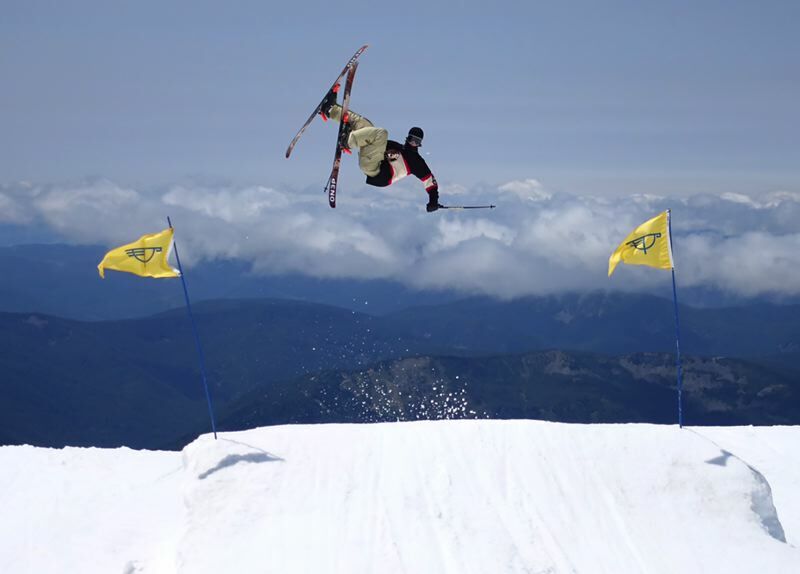 He also made his way into some big-time ski competitions last year, placing fourth at the Junior National (ages 16-17) slopestyle event, while also being invited to the 'Hella Big Air' competition with the nation's top 25 freestyle skiers at Mount Bachelor. Izer began skiing at 4 years old before making the switch to the aerial acrobatics in high school. "I got bored with going straight and fast, and I wanted to catch air," Izer said. "So at the end of the racing season, I picked up a different set of skis and taught myself to ride rails without crashing." He had always been busy doing somersaults on trampolines or taking big jumps on mountain bike trails, so it seemed a natural fit to be doing the same on the mountain. "It's obviously dangerous to go flying off 65-foot jumps doing flips and spins — we hold our breath every time we watch him," his father David said. "He has been flipping and jumping over things as long as he has been walking. Luckily, Kaymen always has a way of landing on his feet." A garage roof project left some extra lumber around the house, so a couple summers ago, Kaymen built his own set of ramps and rails for practice runs. He will be competing in several US ski and snowboard competitions on Mt. Hood in January before traveling to Colorado for his first stop on the Rev Tour on Feb. 11. He packs his bags for a cross-country trip to Pennsylvania for another tour stop on March 1. "Most judges prefer big tricks and landing clean goes a long way," Izer said. "Good grabs and holding your moves through your landing — it's about who has the best style and who is going the biggest." While the competitions bring the best skiers together, it is those moments around the event that Kaymen cherishes the most. "The best part is just hanging out with your buddies and filming your big tricks — nothing really beats that," Izer said. While chasing big results on Tour, he also works construction with his dad during the summer and is a weekend Freestyle coach at Windell's ski camp during the season. Izer is sponsored by Hillscrest Ski and Sports. He can be followed on Instagram at kizer.permanente, and he has a youtube channel at Kaymen Izer.